Monroe, WA â Canyon Creek Cabinet Company recently introduced new paint and stain colors, increasing its standard offering to 36 different colors. The new paints include: Ochre, a deep, earthy mustard yellow; Icing, a soft white with a hint of yellow; Mist, a pale, cool grey, and Cardinal, a deep, dark red with a touch of blue. The new stain is Caraway, a warm and rich brown. Canyon Creek has also added two new Artisan distressing packages (4 and 5) to now provide five different combinations of hand-applied styling to give cabinetry a vintage look and feel, and to simulate the natural appearance of aged wood. Artisan 4, our re-sawn package, features multiple saw cuts that run perpendicular to the grain on the stiles, rails and recessed center panel. Artisan 5 blends a number of techniques (chisel marks, scarring, cracks, screw marks, worm hole clusters and worn edges) for a deeply aged look. Two more finish enhancements have also been added: Sand-Through to Color (STTC) and Licorice Patina. 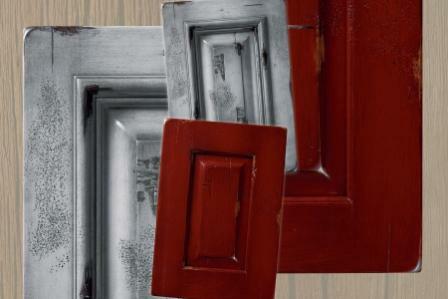 STTC gives the appearance of the top layer of paint having worn away to reveal a previous stain color, and is randomly applied across the door and drawer front to appear as natural wear. Licorice Patina is a brushed-on glaze that is characterized by visible brush marks in the direction of the wood grain, providing a heavily antiqued look. Also included in this new product introduction are wall beds and wardrobe cabinets. At just 24â deep when closed, a full- or queen-size bed can be added to any multi-purpose room with plenty of floor space left for other furniture. 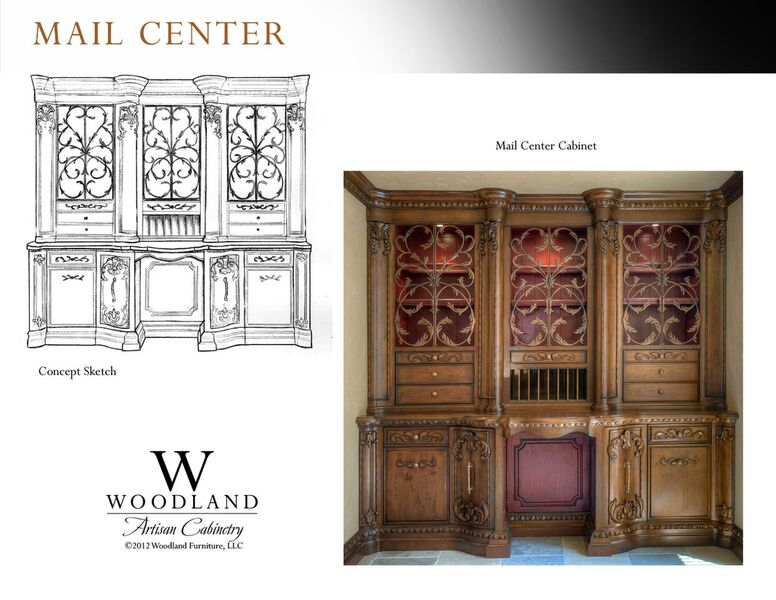 The wardrobe cabinets are finished to matched the interior and feature several door designs. Canyon Creek Cabinet Company, located in Monroe, Washington, is a leading manufacturer of affordable, custom frameless and framed style cabinetry for every room in the home. In early 2009, Canyon Creek introduced its line of closet and storage productsâCanyon Creek Closets Plusâcreating one of the most extensive lines of custom cabinetry and closet storage systems available. In 2010, Canyon Creek launched Newcastle, a framed cabinetry line designed to provide a high-quality, entry-level product for todayâs price-competitive marketplace. Canyon Creek has been a recognized leader in the kitchen and bath industry since 1981 and has won many industry awards for its cabinetry and environmental practices. Maintaining its ISO 9001 certification since 2003, Canyon Creek was also chosen for the 2010 Association of Washington Business Green Manufacturing Award. SOURCE: Canyon Creek Cabinet Co.